This new book offers a straightforward, safe and effective sharpening system that anyone can learn. You will learn how to put a perfect edge on your knives, gouges, chisels and veiners with the dozens of step-by-step photos and easy-to-follow directions. Topics covered are: choosing the right sharpening materials (honing stones, lubricants, polishing materials...etc. ), troubleshooting, sharpening the difficult V-gouge, selecting the right cutting angle for each tool, and more. 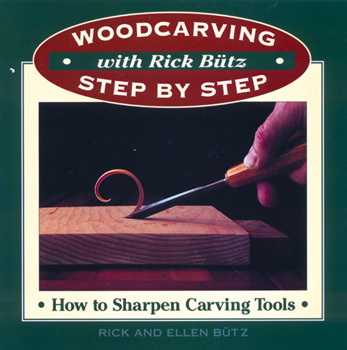 This excellent guide is a must for any woodcarver, regardless of experience.